One-on-one personal training and small group personal training. What training style are you most interested in? Thank you! We will be in touch with you shortly. If you have any follow up questions please email us at info@kylehousefitness.com. Simply put it's about Lookin' Good and Feelin' Good. This programming is an exact balance between aesthetics and functionality. Programming will focus on getting you strong and lean in all the right places. This programming is best if your looking to build your best body and stay in shape. Chattanooga, and the surrounding area, offers an abundance of year round races and sports activities. Performance programming is designed to help you take your performance to the next level with dynamic cross training designed to make you the strongest athlete you can be. Restoration focuses on muscular and cardiovascular restoration and maintenance. This programming is great for those just out of rehab, with joint or movability issues, or those just looking for more mobility in everyday life. Programming focus on building a strong foundation through free form training and multi-joint movements. KHF exclusive programming focuses on a holistic combination of our three pillars of training: cardio, weights, and power yoga designed to keep you looking good and feeling good, because that's what you're looking for. We match you with your trainer. Your goals, fitness level, schedule and medical history are all vital to the perfect match. 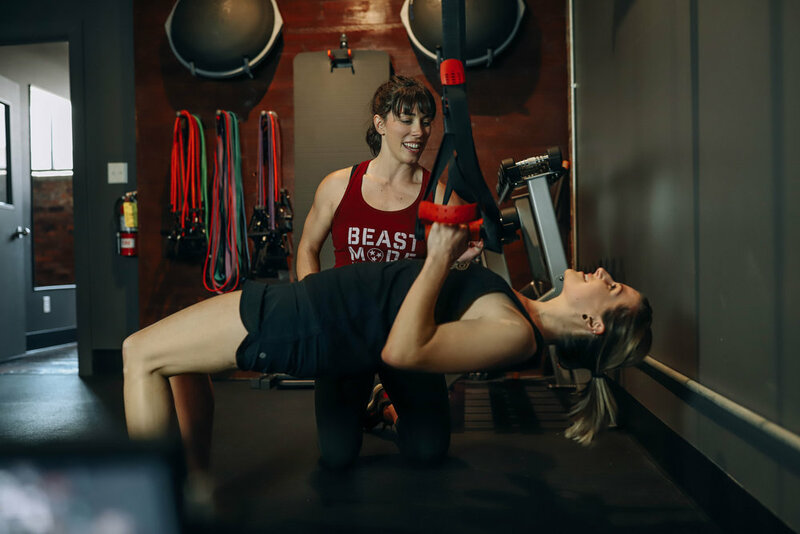 Our trainers range in experience and education, but we want to match you with someone you can grow with. As you progress, your trainer will too, staying ahead of the curve on trends and technology.